One of the prettiest parts of Paris is definitely the River Seine. 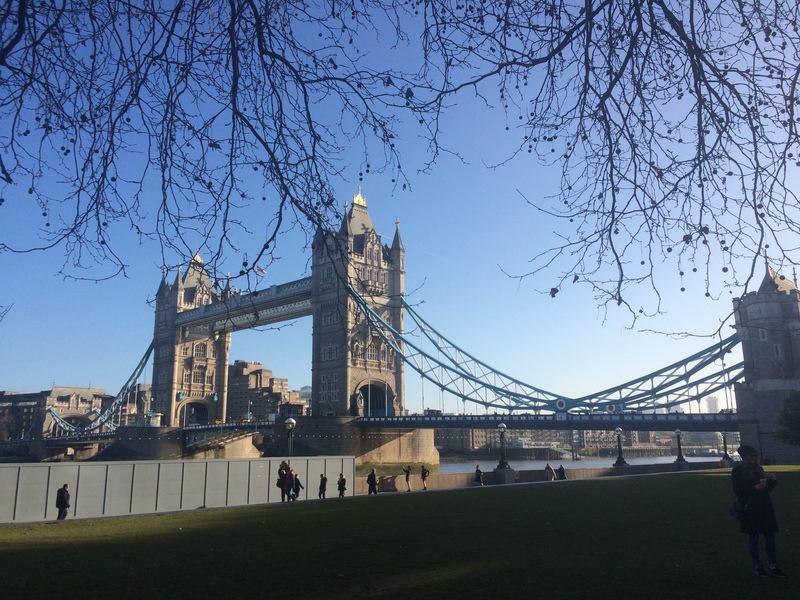 I walked alongside it during my last visit and couldn’t wait to see it on a sunnier day, taking a gentle stroll along the many bridges and spend some time people watching. Given that we were staying at Saint Germain, we were perfectly positioned to access the Seine and walked alongside it each morning to get to and from the city and our hotel. 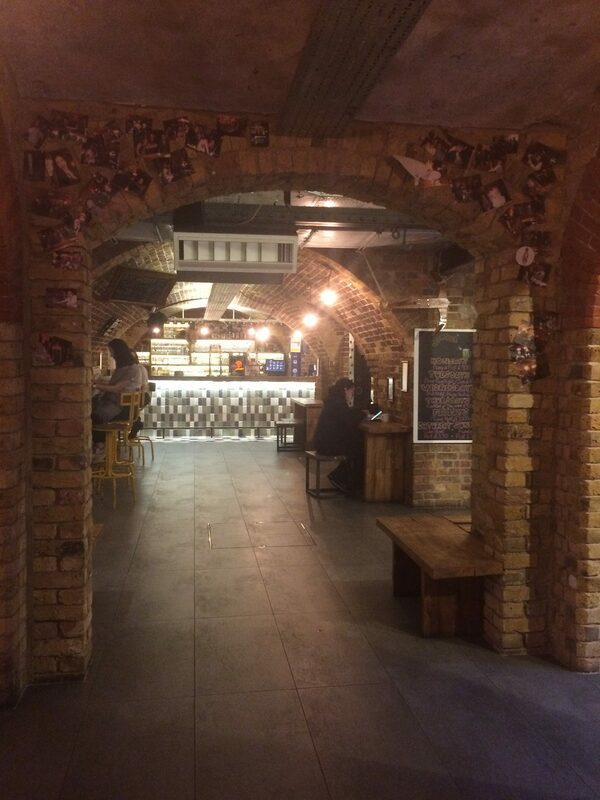 Why not grab a chocolate crepe and devour it whilst walking along the river? You can’t get more Parisian than that! This was my second visit to the Notre Dame and it was even more impressive than I had remembered. We spent a good hour here on Easter Sunday, listening to the bells chime and admiring the incredible architecture from every angle. It was sooo busy though and the queue to get inside was ridiculously long, so we came back to the cathedral a couple of days later and managed to walk straight in – it seems 9am on a Tuesday morning is a good time to beat the queues! Inside it was even more amazing than I had remembered and the stained glass windows truly were a sight to behold. Prior to my visit I was contacted by tour company Triple (formerly known as Local Guddy) asking if I would like to review one of their many European tours, all ran by locals in their respective cities. As I was going to be in Paris, I wanted to discover a different side to the city and picked a tour that was a little less obvious and one that covered more than just the standard touristy sights. After scrolling on the Triple website, it was the Hidden Passages of Paris tour, run by local teacher turned guide Lucien, that jumped out at me immediately. 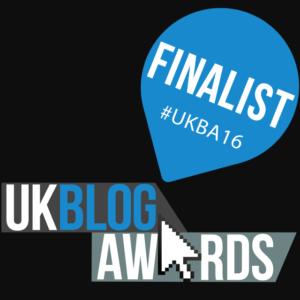 Running for approx. two hours (€30pp) Lucien was to start at the Royal Palace of Justice before taking us to some of the ancient hidden passageways (old buildings and arcades that used to connect different districts of the city) which are now used to house an abundance of restaurants, cafes, hairdressers, shops and bars. As there were only two of us on the tour, it was super informative, yet informal, and we really got to know some different areas of Paris that you won’t find in the guidebooks. Lucien was a fantastic guide, very knowledgeable, and friendly too – nothing was too much trouble. As there were just the two of us we actually finished the tour early, but instead of walking away and leaving us to it, Lucien asked if there were any other areas of the city we wanted to see and he gladly walked up to Montmartre with us when we expressed our interest in visiting this area. He accompanied us up the steep hill to the top of the Sacre Coeur where he left us to carry on with our day. Lucien was fantastic and Triple were great at being on call if I had any queries in the lead up to the tour. Thank you to both Lucien and Rebecka at Triple for a wonderful tour that turned out to be one of the highlights of our Paris trip! The Luxembourg Gardens were a pleasant surprise to both my sister and I – we had no idea they were so close to where we were staying in Saint-Germain and they were a real hidden gem. The weather wasn’t particularly warm during our trip, but luckily we did have sunshine for a few hours when visiting the Luxembourg Gardens. A series of outdoor gardens linked with bridges, fountains, ornaments, trees and lots of beautiful flowers made this place look like heaven on earth. There is a small onsite café serving drinks, cakes and snacks making it the perfect place to enjoy some much needed respite after a busy day of exploring. Paris can often be a little overwhelming at times as it’s streets are so busy, so taking a stroll around these beautiful gardens is a lovely way of slowing the pace down a little. Home to the largest collection of art in the world, the Louvre is the most famous museum on the planet and one of the most iconic buildings in history. Located in the 1st arrondissement on the right bank of the River Seine, the Louvre is home to almost 40,000 objects dating back centuries ago. It is perhaps best know for housing the world-famous Mona Lisa portrait by Leonardo Da Vinci. Receiving over 8 million visitors each year, the Louvre is undoubtedly popular and it is highly recommended that tickets are bought online rather than just showing up on the day! We didn’t actually go inside the Louvre as the queues were insane and we hadn’t booked tickets, but to be honest we were limited on time and would rather have spent our days in Paris outside than in. It is worth seeing from the outside though, and getting a selfie with the all important pyramid is a definite bucket list item. This was something I was soo excited about doing as I LOVE rooftops and had climbed the Eiffel Tower last time, so when the lovely team at Euroventure kindly gifted me two tickets (€17pp) I was so grateful and jumped at the chance to see the Parisian skyline from a different angle. We chose to go at dusk, at around 7pm, so that we could see the skyline both in the light, and after dark once the sun had set. Located in the 15th arrondissement, just a 20 minute walk from our hotel in Saint-Germain, we found the tower easily enough and it is ENORMOUS at an impressive 210m high! Upon arrival we took a short ride up in the elevator and found ourselves at the top of the tower where we were met with the most amazing panoramic views over the city. There is a café/bar on site and this actually became the place where we stopped for dinner after realising we were far too hungry to go wandering around an area we weren’t familiar with in search of some much needed food. A short staircase climb took us to the very top of the tower, which was open air and home to a number of sofa’s, chairs and large seating areas as well as another bar which is open in high season. The views from the very top of Montparnasse Tower were absolutely breath-taking, and it was the perfect place to watch the sun go down, as well as to spot the Eiffel Tower lighting up after dark when it sparkles on the hour, every hour each day from 7pm. A magnificent experience and the most delightful way to end our last night in pretty Paris. I know this is super touristy, but in my opinion the best way of getting around is jumping on a hop on, hop off bus and relaxing on the top deck whilst the driver takes you around to admire all the sights. There are a number of different companies to choose from and we picked Big Bus Tours Paris, just because their stop was nearest to our hotel and we saw them driving around the streets more often than some of their rival companies. A little on the pricey side, our tickets were €36pp for a 1-day ticket. Looking back I would have preferred to do a little research and get a better deal as we saw tickets with CitySightseeing for less than that for a full 24hr ticket, but hindsight is a wonderful thing! We stayed on board for the majority of the two main routes, the red line and the blue line, which gave our little legs some much needed rest whilst we hopped on and off at whatever sights/areas took our fancy. As Paris is so huge, I do think that taking an open top bus is the best way of getting around and an audio commentary was a great way of seeing the sights without wasting too much energy! We did use the metro to get to and from the train station which was handy and super cheap, otherwise we tended to walk to the other places when we weren’t using the bus tickets. During our time in Paris we stayed in the lively Saint-Germain area which was the perfect place to base ourselves for our 2 night trip. There are sooo many places to stay in Paris, some better than others, and I did struggle at first to find somewhere as a base. With so many options it can be a little overwhelming, but after a friend recommended the Saint-Germain area for its trendy jazz scene and its close proximity to the River Seine (5 min walk away), I knew that was definitely where I wanted to be. Saint-Germain isn’t too huge but there are plenty of bars, café’s, shops and restaurants to visit during your stay. There are plenty of choices for hotel options but we picked the beautiful Hotel de Seine, conveniently located on Rue de Seine, right opposite a pharmacy and a few doors down to a little green grocers where we bought fruit and pastries each morning for breakfast. You’re right in the heart of the action, a stone’s throw from the busy entertainment district and just a 5 minute walk from the nearest metro station to connect you to the rest of the city. The hotel was beautifully decorated in traditional Parisian style with comfortable bedrooms, lavish bathrooms and a cute reception/breakfast area. The staff were so friendly and helpful, especially when our ongoing train to Luxembourg got cancelled because of the SNCF train strikes – reception lady was on hold for ages and was great at being a translator for us! I would highly recommend Hotel De Seine for anyone looking to stay in the heart of Saint-Germain when visiting Paris. I really enjoyed my time in Paris, even if it did feel super busy and crowded during our visit. I think because we went over Easter weekend it was just so packed and way too touristy, but I did enjoy being at the Notre Dame on Easter Sunday as that was definitely a bucket list moment for me. Yes it was busy in the city, and yes it sometimes isn’t as pretty as it looks with it’s dirty streets and smelly subways, but overall I did enjoy my time there and feel like I saw everything I wanted to see. I’m not sure if I would go back purely because it didn’t totally blow me away, and because there are sooo many other cities I want to visit, but it’s gotta be done at least once in your life, right?! In the words of Audrey Hepburn, Paris is always a good idea. NB. I was invited on the Hidden Passages of Paris Tour with tour company Triple, and I was a guest of Euroventure’s who kindly sent me up Montparnasse Tower. Both experiences were gifted to me for the purpose of this review, but as always all thoughts, comments and photos are of course my own. I really love free walking tours and feel they are the best way to discover a new city for the first time, especially if you only have a couple of days and want to squeeze in as much as possible! The free Old Town Walking Tour in Warsaw begins right underneath Sigismund’s Column and departs every day at 10.30am. Our tour guide was so friendly and really gave us an insight into the history behind Warsaw, going into particular detail about the horrendous destruction of the city during world war two. The two hour tour passed by a number of points of interest and within that time we saw pretty much every important landmark there was to see in the historic Old Town, and got to make some brilliant photo stops along the way too. If, like me, you only have a couple of nights in Warsaw I would definitely recommend basing yourself in the old town as I think this is the most popular area of the entire city. With its historic cobbled streets, vibrant market square and a vast array of colourful buildings, old town Warsaw is a UNESCO world heritage site and is best explored on foot meaning everything can be seen within a day or two. I really enjoy visiting cities that have a small historic centre, particularly if I’m pressed for time, as it means I can really immerse myself in the atmosphere and soak up the culture at the same time too. Don’t forget to climb the clock tower just opposite Sigismund’s column for spectacular panoramic views of the castle square below, and a visit to the famous mermaid statue is a MUST too! After a busy day of sightseeing I love nothing better than venturing a little out of the city and just taking a gentle stroll along the river. 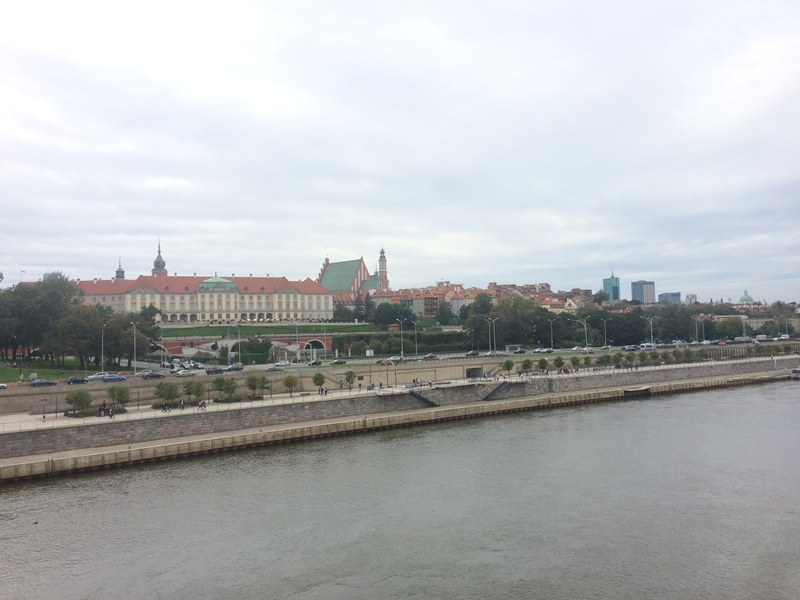 Warsaw’s old town is so compact that it was nice to explore a little further afield and see other parts of the city that were completely new to us, and the views from across the river were pretty stunning too! A wander along the Vistula will take you to Warsaw Zoo, Park Praski and the quirky neighborhood of Praga, which was the location for the award winning film The Pianist. Warsaw is full of interesting museums to visit, containing everything from war and jewish history to music, science and modern art. I do think it’s difficult to find the time to visit museums if I’m on a super short city break though, so I don’t tend to put them at the top of my list, but there are so many in Warsaw that I just HAD to include them in my guide! 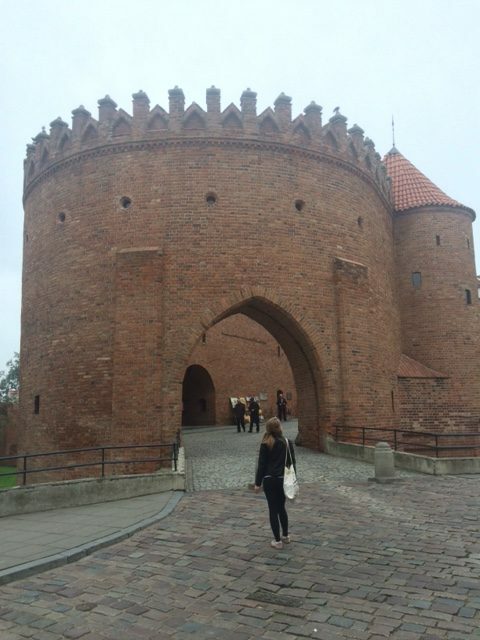 We actually wandered around the Museum of Warsaw, which is located in the archway/city gate just behind the iconic market square, and found the history so interesting. Another must-do is the Uprising of the Jews and the Palace of Culture which is somewhere I really wanted to head to but sadly we ran out of time! There are a variety of restaurants in the old town, most of which serve a mix of traditional Polish food and popular European dishes too. 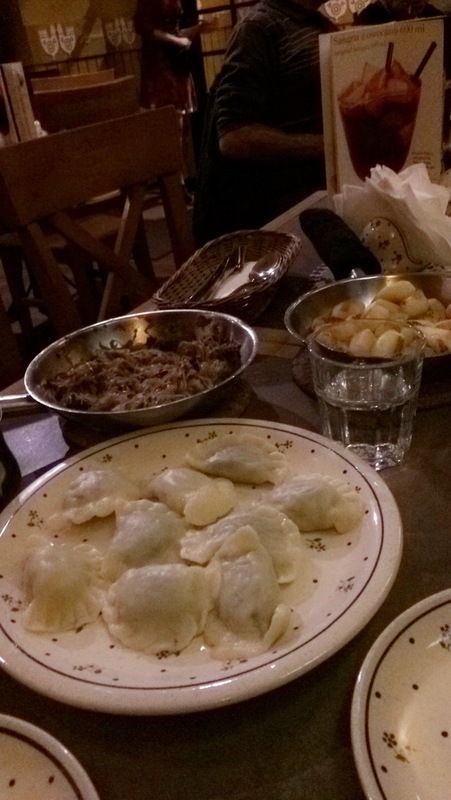 We chose to eat at a local restaurant called Zapiecek on our first night as it was just a few doors down from our hostel and served amazing pierogi (dumplings) which are a traditional Polish dish. Serving a variety of mains including everything from pork and chicken to salmon and sausage, Zapiecek restaurants can be found dotted across Warsaw and are a must visit when looking for somewhere to eat in the city. 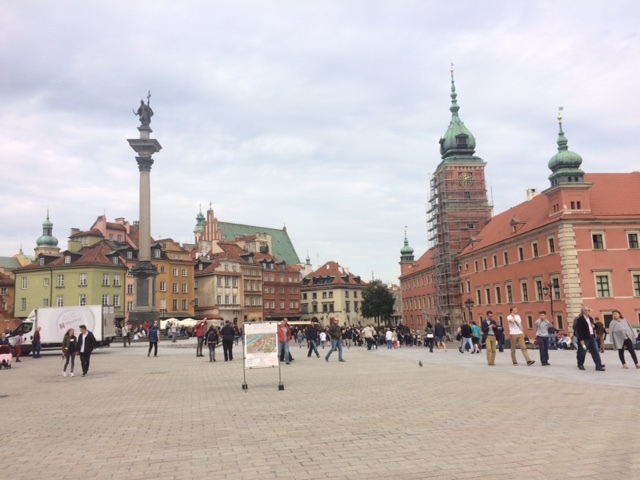 Other restaurant recommendations I received, but sadly didn’t dine at, were Magda Polka in the Castle Square, and Michelin starred U Fukeria which can be found in the market square, just opposite the famous mermaid statue. During our time in the city we chose to stay at the super cool Oki Doki Hostel, one of the only original pre war buildings left in the city. 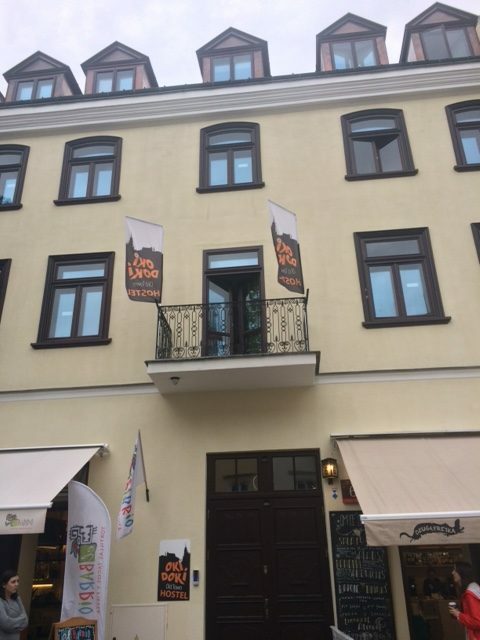 The location couldn’t have been more perfect for us as we were right in the middle of the old town with a number of shops, bars cafes and restaurants within a few minutes walk. We were staying in a private double room on the third floor with our own en suite bathroom. The beauty of staying in a private room is that you pay hostel prices for hotel standards and this couldn’t have been more true for our stay at Oki Doki. The communal areas including the kitchen, garden and breakfast place were kept very clean and tidy but were also great places to hang out and meet fellow travellers. 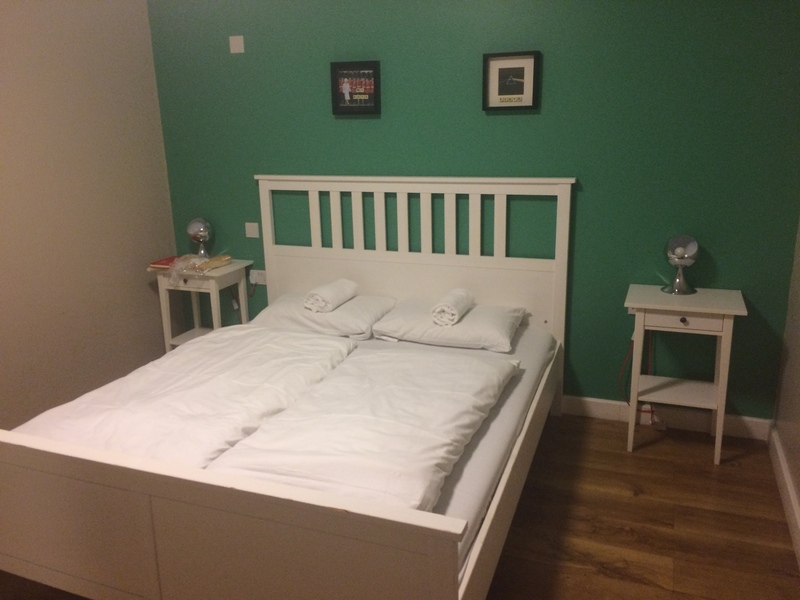 I wouldn’t hesitate to recommend Oki Doki Hostel to anyone looking for a comfortable stay at a fantastic price right in the heart of Warsaw’s old town. Special thanks must go to Agata for making our stay so wonderful! I could have spent at least another two days exploring everything that Warsaw has to offer, and even then I still don’t think I’d have scratched the surface! Considering Warsaw lost pretty much everything during World War Two, the defiant spirit of this city is incredibly powerful and shines through its core. 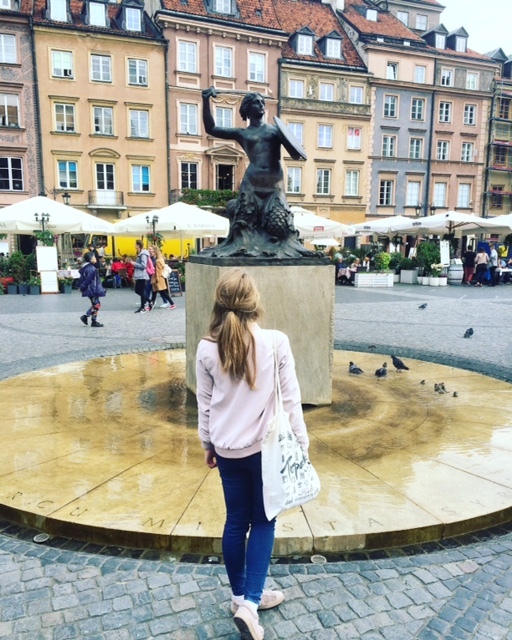 Have you ever visited Warsaw before? I’d love to hear what you thought of it! The cruise departs Westminster Pier at 6.30pm and lasts for approximately two hours. Once on board you’ll be treated to a complimentary glass of fizz before a delightful selection of canapes are passed round. The cruise is named The Sundowner in summer and Riverlights in winter which I think is super cool as everything is completely lit up after dark during the colder months! The boats’ downstairs has a large seating area with panoramic windows and a fully stocked bar, whilst upstairs holds plenty of uncovered seating and offers amazing views. 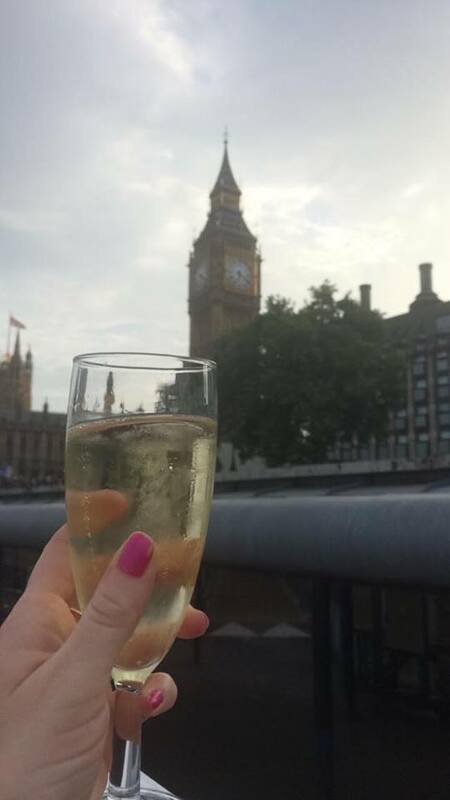 As the Sundowner starts at Westminster Pier, it’s only right that the first landmarks you’ll spot are the iconic Big Ben and Houses of Parliament. You’ll get an amazing view of both as you pass them by, and you’ll see them again on the return journey too. 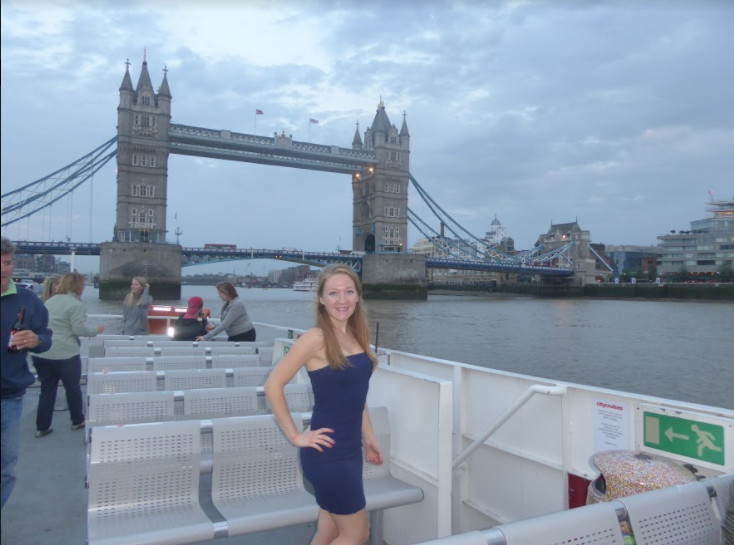 The cruise then passes under several bridges before turning around and taking in some of the most famous sights in the city, such as The London Eye, The Globe Theatre, The Shard and HMS Belfast before going underneath the glorious Tower Bridge. Tower Bridge is undoubtedly the highlight of the cruise, and passing underneath it is definitely one of those ‘bucket list’ moments! You’ll get photo opportunities aplenty as the boat goes quite slowly and there’s plenty of time to take pictures from every angle you can think of whilst gazing in awe at one of London’s most iconic symbols. There was a really nice atmosphere on board, everyone was super friendly and the jazz musician who entertained us for the duration did a fantastic job. He played an eclectic range of golden oldies and recent chart hits, offering something to suit everyone. There were couples, solo travellers, families and groups of friends on board showing that this type of cruise really is perfect for all. 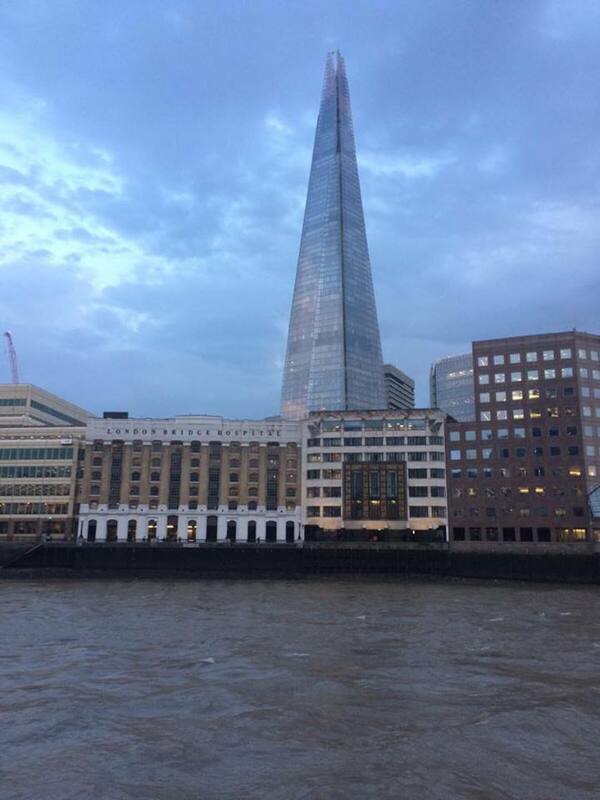 I really enjoyed my time on board The Sundowner and would recommend it to anyone looking to see the sights of the city from the comfort of the River Thames. 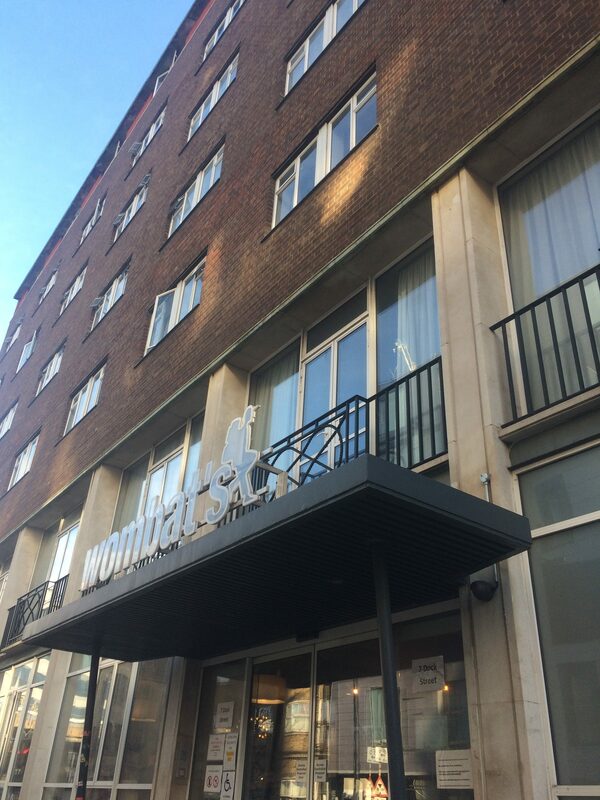 There’s nothing quite like enjoying a warm summers evening in the heart of our capital city, and unwinding with bubbly and canapes was the perfect way to end a lovely day in London. 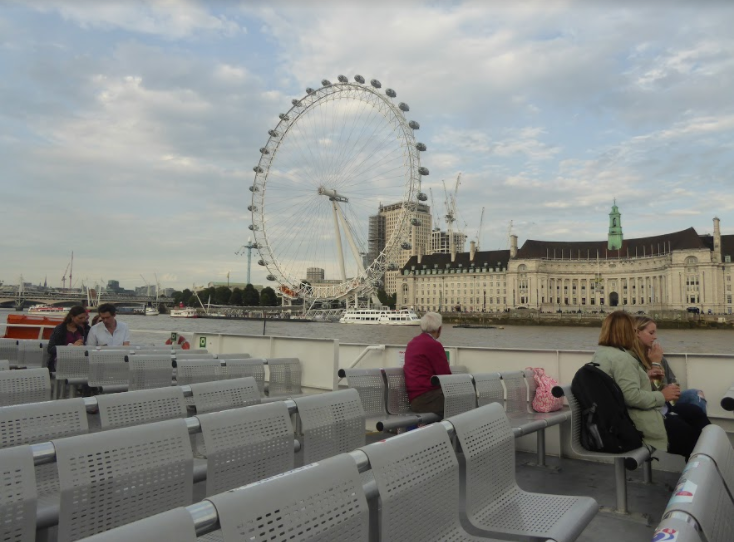 The Sundowner cruise runs Wednesday-Sunday and departs Westminster Pier at 6.30pm, returning at around 8.30pm. Tickets are priced at £32pp. Children under 13 years of age are sadly not allowed on board. CityCruises are currently offering a fantastic FLASH DEAL on all Sundowner cruises – book before 18th September to receive a 20% discount! Travel must be taken Sunday-Friday before 31st October. What are you waiting for?! Treat yourself or your loved ones to a delightful cruise along the Thames – you can thank me later!